Bek Duyckers’ role at Perth College isn’t easy to find elsewhere. Duyckers heads the Imaginarium, an initiative unique to the school, which caters specifically for gifted girls of very high ability. It’s a place where innovation, curiosity and creativity are encouraged, and where rigorous intellectual development occurs. Duyckers has built and grown the Imaginarium to cater for gifted girls in Years 1–9 from any school in Western Australia. The Imaginarium’s approach is unlike anything else available in Australia in that it holistically develops gifted girls’ cognitive, social, emotional and vocational domains, in line with empirical research in the field. Positive psychology underpins course content, supporting the positive development of gifted girls’ self-efficacy and self-concept and enhancing their overall state of wellbeing. 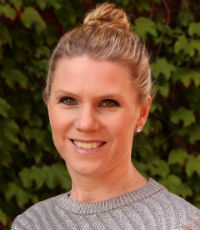 Over the past year, Duyckers has completed her second masters in education, specialising in gifted education, whilst also continuing to complete her doctoral research with a focus on developing students’ intercultural communication competence. Her work has also been published and selected for presentation at international conferences.